185VR15 PIRELLI CINTURATO ™ CA67 was made in 1952 and is the tyre that the Ferrari 250GT and 250GTE left the factory with. They were also fitted to the +8 Morgan. 185VR15 PIRELLI CINTURATO ™ CA67 is the tyre that the Ferrari 250GT and 250GTE left the factory with. 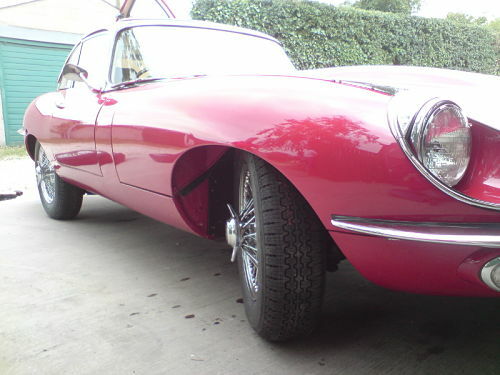 Because of the carcase design of the 185VR15 PIRELLI CINTURATO ™ CA67 gave such fabulous sporting handling, when you bought a series 1 XKE ( E-type ) or MK2 saloon, Jaguar would fit the 185VR15 CINTURATO ™, instead of their standard Cross ply. If you walked into Aston Martin and bought a car from David Brown in the Mid 60's and asked for a radial tyre, Aston would also fitted 185VR15 CINTURATO ™ CA67 to their late DB4, the DB5 and early DB6. Did James Bond have this 185VR15 CA67 CINTURATO ™ fitted to his Borrani wheels on his DB5? The Overall Diameter of the 185 VR 15 PIRELLI CINTURATO ™ CA67 is 675 mm and the width is 185 mm. For more information on the 185 VR 15 PIRELLI CINTURATO ™ CA67 please see below or call +44 (0) 1302 711 123.+44 (0) 1302 711 123.